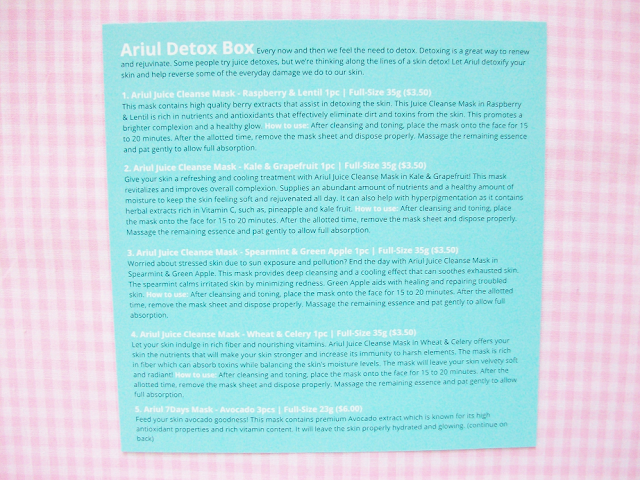 A few weeks ago Memebox posted a Ariul box filled with Ariul skincare products. 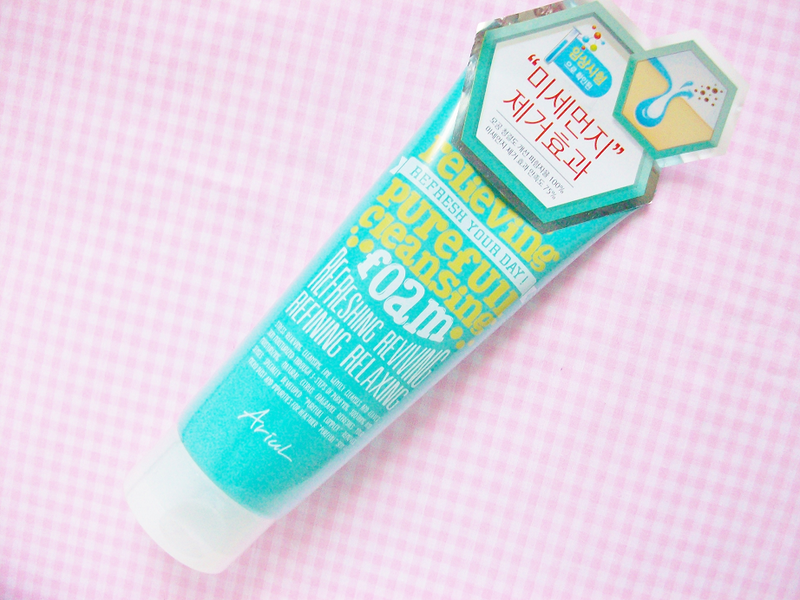 I've never heard of Ariul so I'm excited to try a new Korean brand. It cost around $24-27 (don't remember the actual price) so it wasn't too expensive so I went ahead and bought it because of how many sheet masks it contained. The box comes with a Ariul cleanser, mist, 4 juice cleanse sheet masks and 7 day sheet masks, that's 11 masks total! 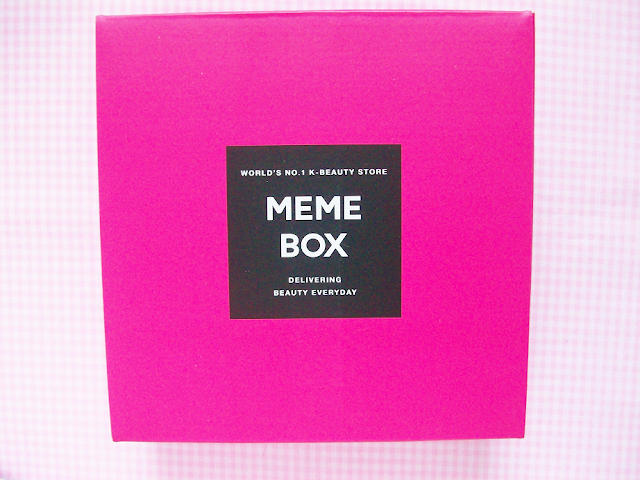 Sadly, this box isn't available anymore on the Memebox website but the individual products are, which I will link. Everything came packaged well in a bright pink Memebox. It took a few days for my order to come in. Memebox is honestly the best website I've tried that ships Korean products in the US really fast to you, I highly recommend them! This is a note that explains what every product does and how to use it along with the prices. It explains every mask too! 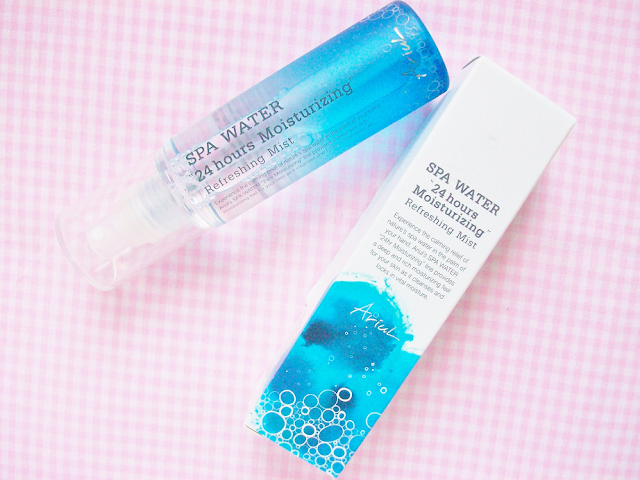 The box included a cleanser, the Stressful Relieving Purefull Cleansing Foam. 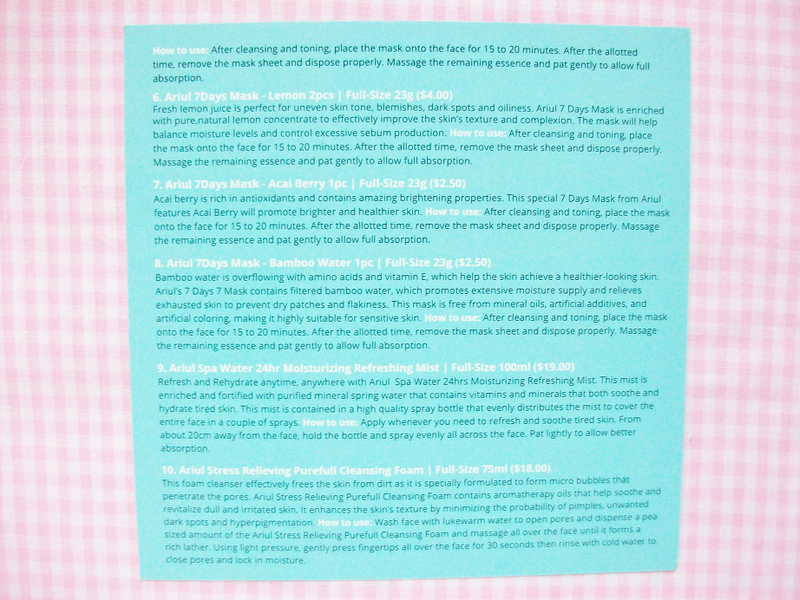 I'm not a fan of foaming cleansers because they dry out your skin. However, I will try it a few times and if I don't love it I will give it to one of my sisters. The second full-size product in the box was the Spa Water 24h Moisturizing Refreshing Mist. I've tried this a few times and it's really soothing. The packaging also feels really nice and good quality. As a sheet mask fanatic I was so excited when I saw that this box contained 11 sheet masks! 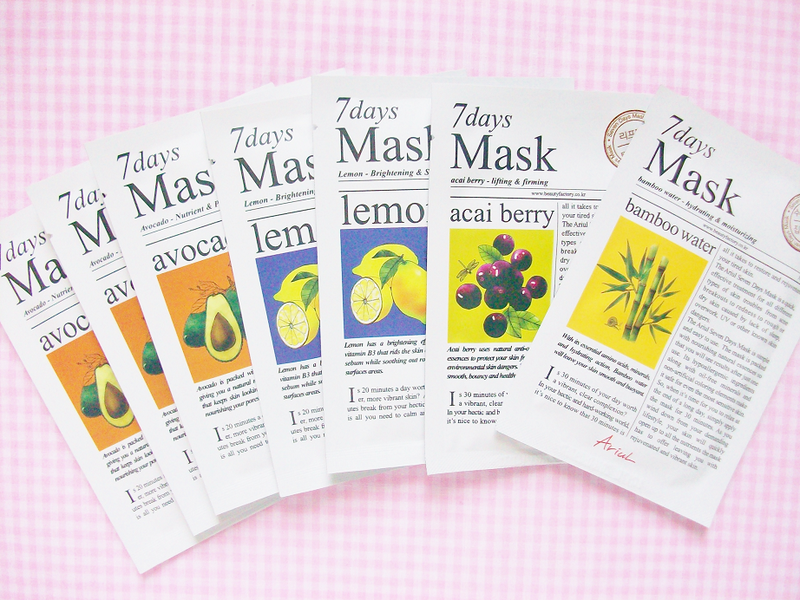 They send you 7 masks so you can use one on every day of the same week but I will most likely not follow that. There are four different scents avocado, lemon, acai berry and bamboo water. 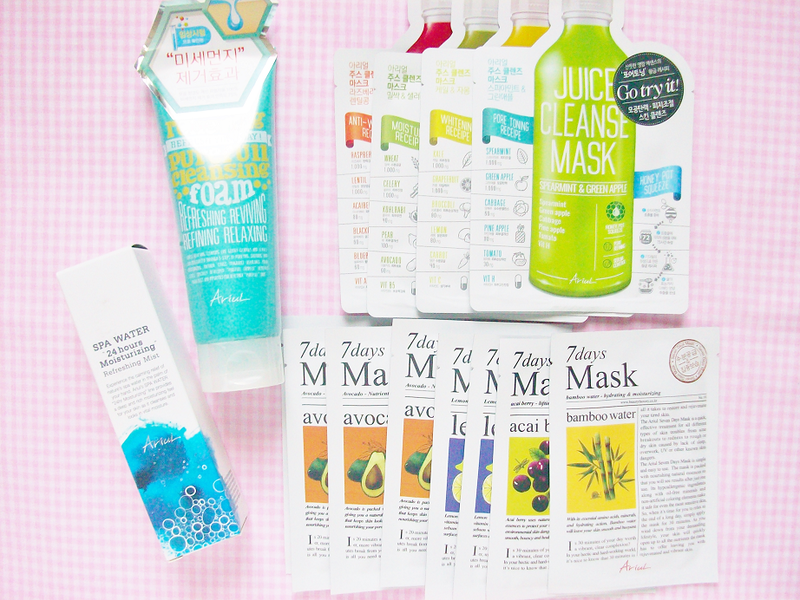 You get three avocado, two lemon and one of the acai berry and bamboo water mask. 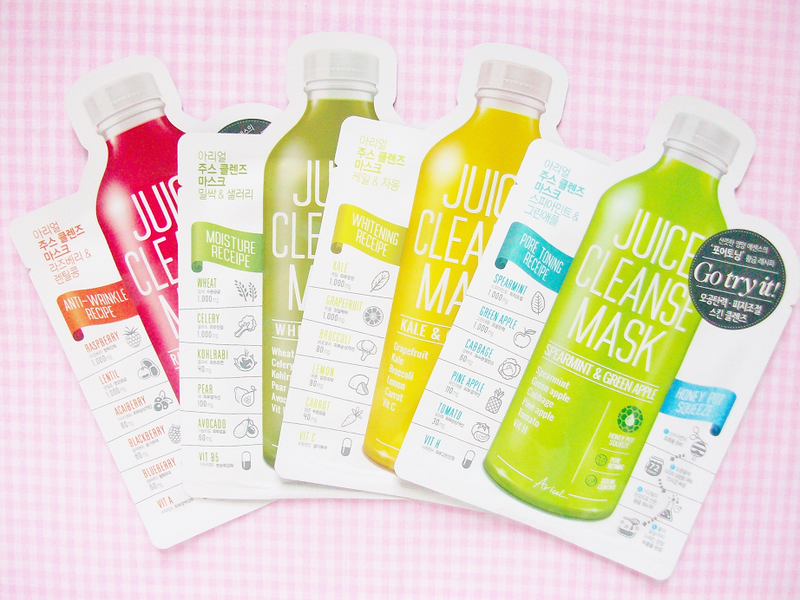 Last but not least are the Juice Cleanse Masks! I'm looking forward to trying these out because they're inspired by actual juice cleanses. 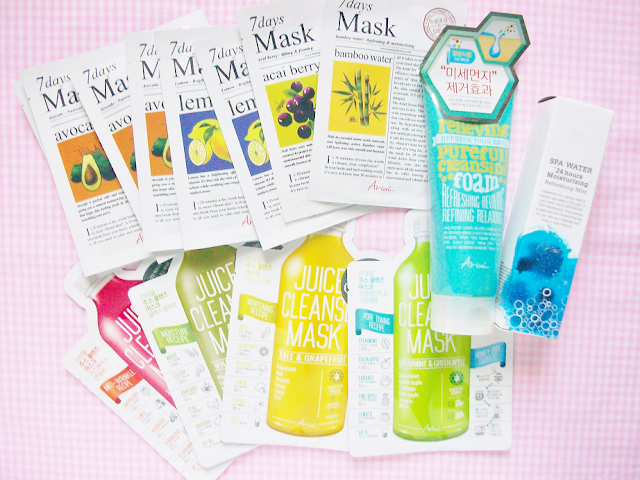 The masks are filled with rich nutrients and vitamins that help strengthen your skin and increase its immunity to harsh elements. There are four masks including Raspberry and Lentil, Wheat and Celery, Kale and Grapefruit and Spearmint and Green Apple. Do you want me to review any of these products?